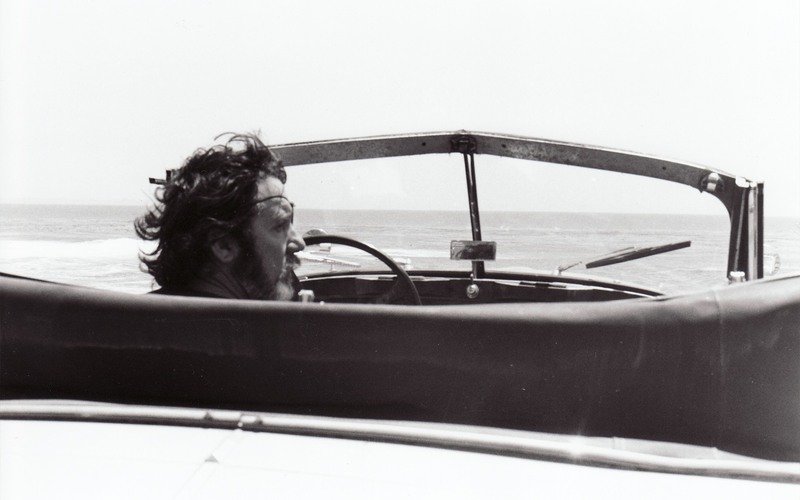 Jack O’Neill kept life simple; he was into one thing — the ocean — and not much else. As his namesake restaurant and lounge, we strive to keep that spirit alive. 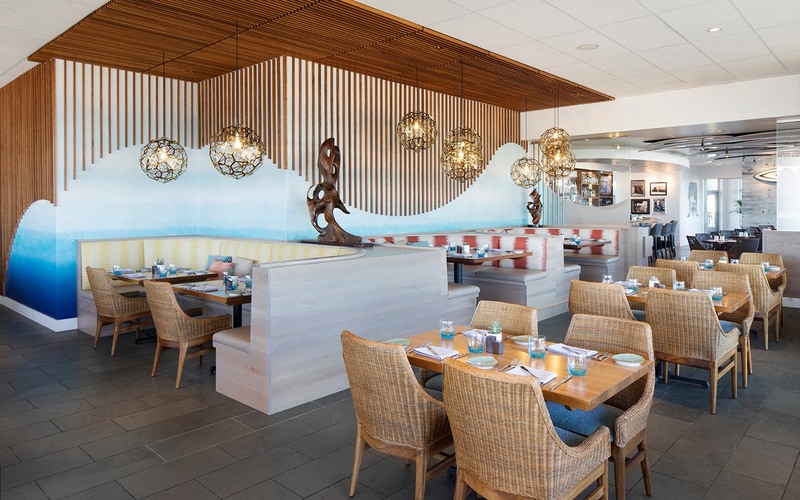 We focus on one thing — coastal cuisine done right — and we believe in making it as accessible as possible. We serve food honestly, the way Jack would’ve liked. When you work to those standards, everything else comes easy. 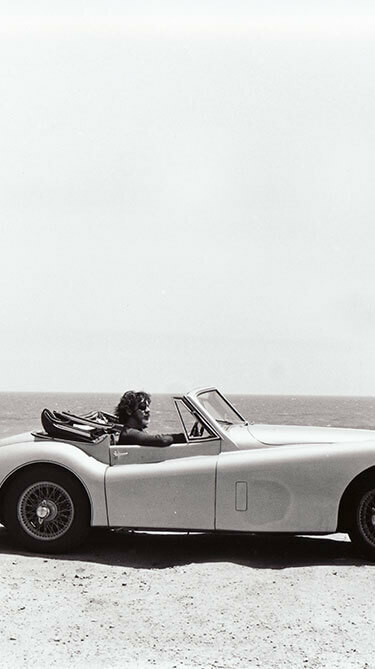 Jack loved Northern California for its beaches. We love it for its food, and for good reason too. 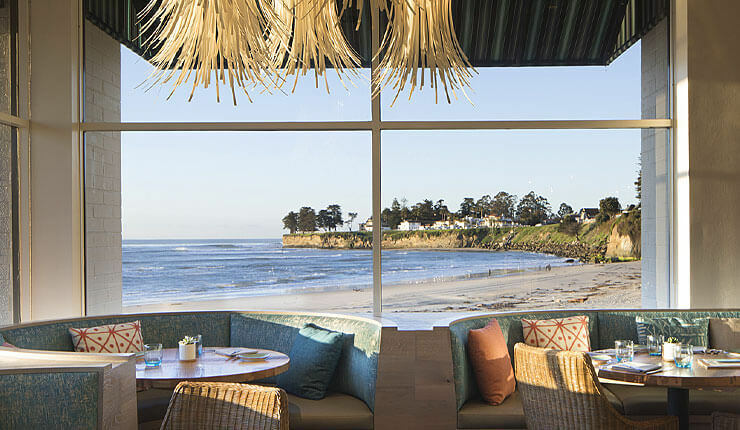 Regional ingredients drive our menu: Our fresh-caught seafood meets the Monterey Bay Aquarium’s Seafood Watch sustainability standards, our cage-free eggs come from the Glaum Egg Ranch, and our seasonal produce is sourced from a number of area farmers. It sets us apart from other downtown Santa Cruz restaurants; why go global when local does just fine? 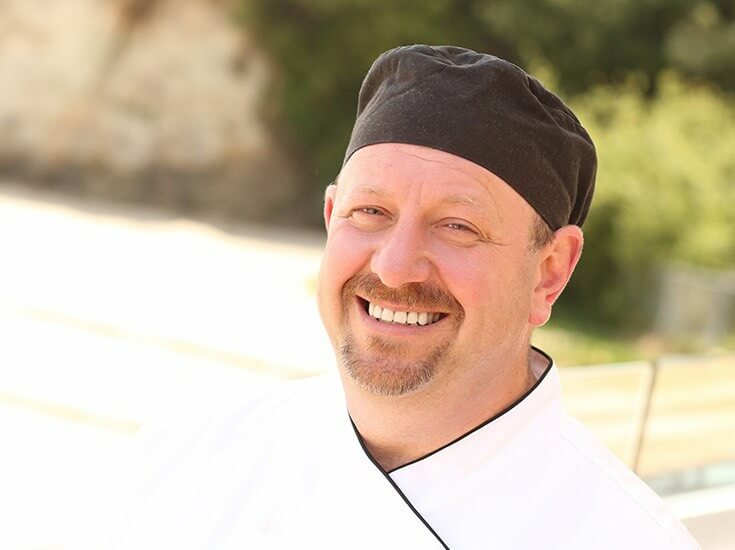 Ask Ken Drew what characterizes California, and he’ll tell you this: freshly-caught seafood; organic local produce; and variety that you can only find on the Central Coast. He’s seen it himself over his 32 years in the California restaurant business. He’s showed it to countless diners — including former president Bill Clinton. 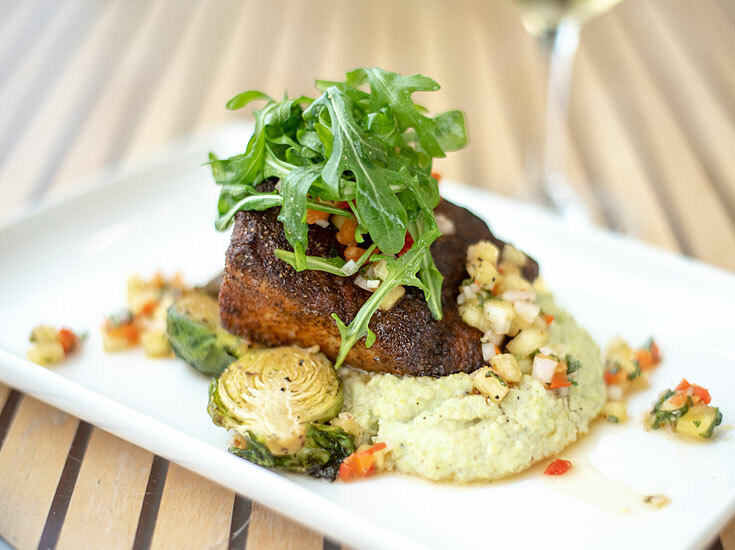 And as our Executive Chef, he’d like to show you, too. 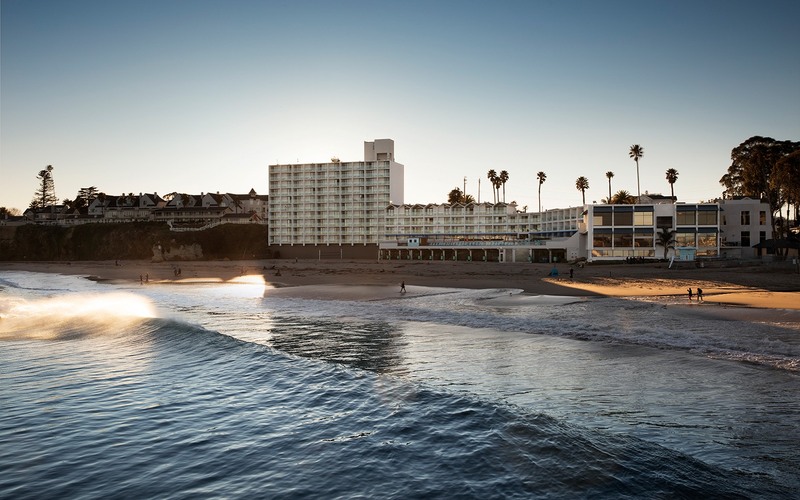 Santa Cruz sunsets, drink in hand — after hours spent in the lineup, there's no better way to relax. 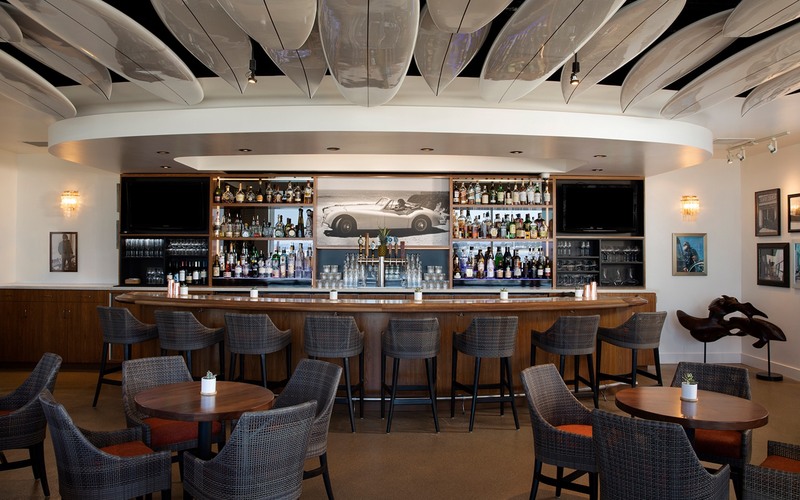 When it's time to hang your wetsuit up for the evening, make your way to Jack's; our collection of signature cocktails makes for a fitting toast to a successful day of surfing. 25% off all appetizers, well drinks, wines by the glass and draught beer. 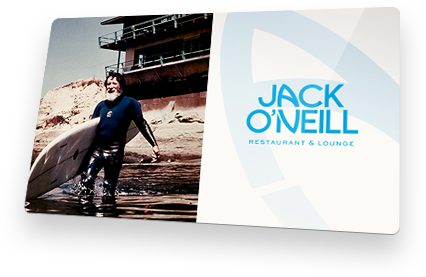 He may have been a surfing legend, but even Jack O’Neill could get down to business. 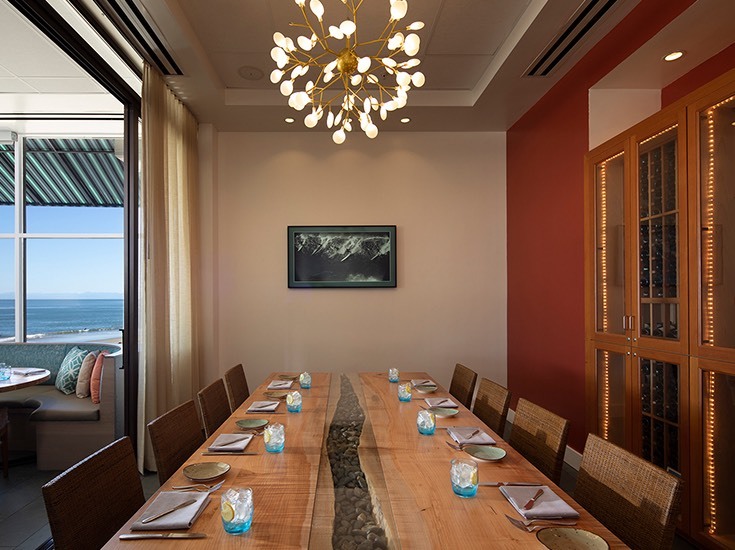 Put a Santa Cruz spin on your next meeting in our private dining room; with space for 12 people and A/V capabilities, it’s an ideal venue for a focused breakout session. Whether you’re carving waves or a fresh fish filet, a day by the water is best spent with friends. Feeling the NorCal spirit? Purchase a gift card and treat your loved ones to a laid-back meal. 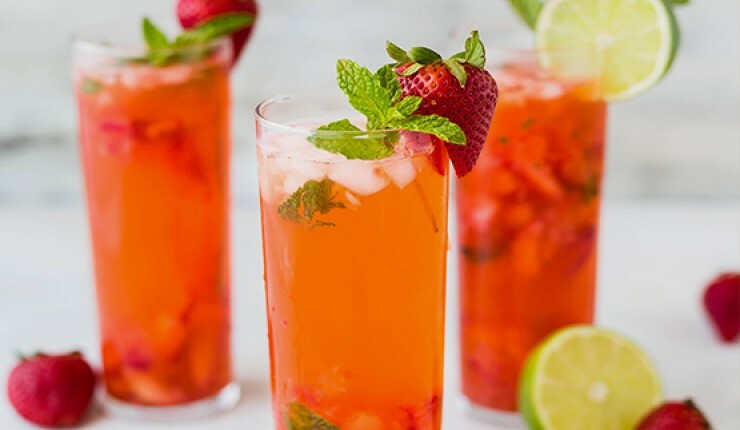 © 2019 Jack O’Neill Restaurant & Lounge.